The Thailand and Taiwan team researches the differentiated use of ICTs by migrant women domestic workers' organisations in Hong Kong and Taiwan, two regions presenting contrasting situations in terms of migrants' political organisation. They hope that the study will lead to identifying ICTs' potential to organise, empower, and engage migrant workers in collective and political advocacy, while developing policy recommendations for governments' unions and migrant workers' associations to enhance domestic workers' civil participation. The primary research carries out both structured and unstructured qualitative interviews with individual migrant domestic workers, who have been identified through collaborative work with local organisations. Interviews of members of domestic workers' associations (registered unions, semi-structured associations and informal social groups) inform about both existing levels of ICT use and limitations of their use. The preliminary work has enabled the team to map the many dimensions of the topic, articulating clearly the gaps in the existing work but also the current use of ICTs by women migrant domestic workers, the obstacles they face in accessing technology and the multiple potentials of mobile phones for political engagement. 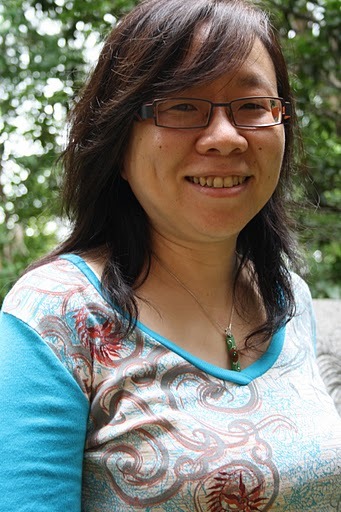 Hsiao-Chuan Hsia is a Professor at the Graduate Institute for Social Transformation Studies, Shih Hsin University, Taipei. Her book studying marriage migration issues in Taiwan, is titled “Drifting Shoal: the ‘Foreign Brides’ Phenomenon in Capitalist Globalisation” (published in Chinese). She is also an activist striving for the empowerment of immigrant women and the making of im/migrant movement in Taiwan. She initiated the Chinese literacy programmes for the “foreign brides” in 1995, leading to the establishment of TransAsia Sisters Association, Taiwan (TASAT). She is the co-founder national and regional alliances for the development of im/migrant movement, including the Alliance for the Human Rights Legislation for Immigrants and Migrants (AHRLIM) and Action Network for Marriage Migrants Rights and Empowerment (AMMORE). She is also a member of the Organizing Committee of the Labor and Migration program of Asia Pacific Forum on Women, Law and Development (APWLD). Philippa Smales has studied law and philosophy. She then accepted a scholarship to do a PhD in Applied Ethics at Melbourne University, Australia on justifying the human rights of sweatshop workers, particularly the right to a living wage. She also taught some philosophy and business ethics courses at various universities in Melbourne. She traveled to Thailand in January 2010 to intern at Asia Pacific Forum on Women Law and Development (APWLD) in the Labour and Migration Programme. She now works mostly on the rights of domestic workers and has recently finished a briefing paper on the exclusion of domestic workers in the national laws and the right to collective representation in ten Asian countries.